Affinity is a light and bright apartment covering 2,000 square feet. Accessed via the main manor house front door, it is situated on the first floor at the head of the grand staircase. You enter the apartment into an exceptionally large kitchen, dining and living space. This room is perfect for chatting, letting the children play or watching a film whilst cooking the dinner. The whole apartment is beautifully finished and has a great sense of history. 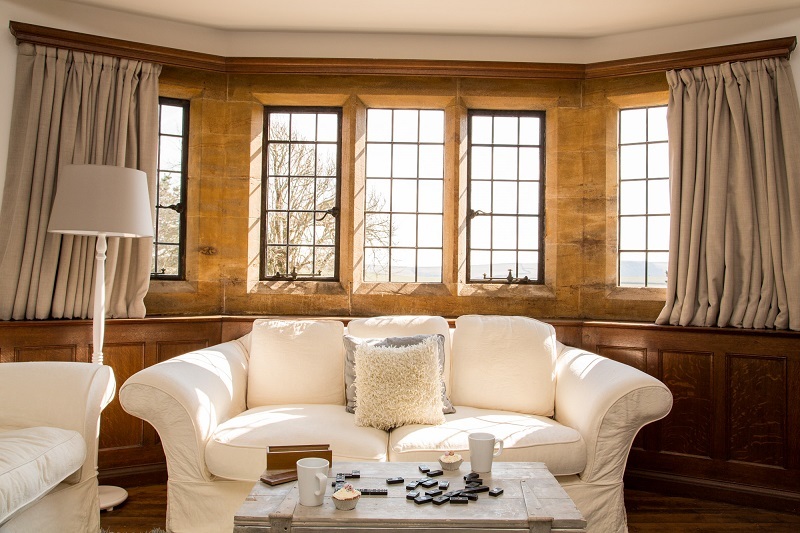 High ceilings are complemented by feature fireplaces and beams, and original oak panel doors. Neutral soft furnishings add to this elegance. There are stunning views from the south-facing stone mullion windows over the formal garden, countryside and coast. All the rooms are a good size, but the master bedroom is a spectacularly large room; furnished with a super-king mahogany sleigh bed. The family bedroom lives up to its name, furnished with a super-king bed and a single/day bed. It too faces south, and is both light and bright for much of the day. 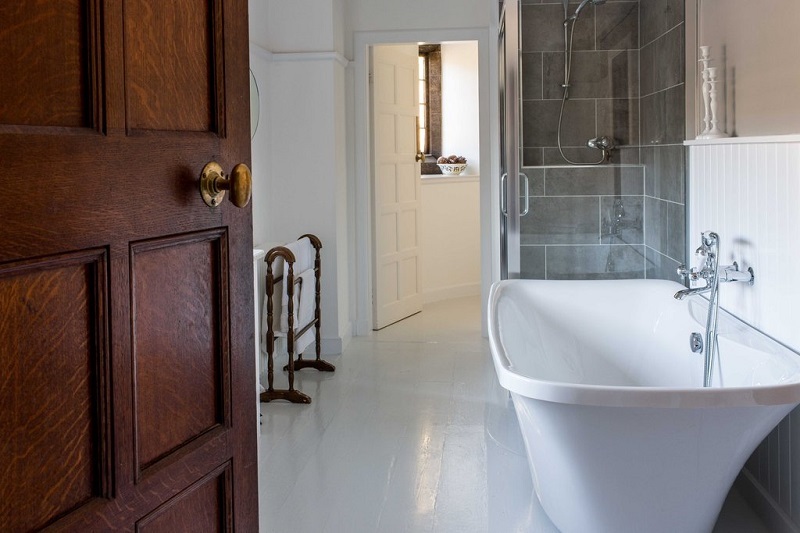 Sleeps 7 across 3 bedrooms (‘Z beds’ for younger children can be made available for a small charge). 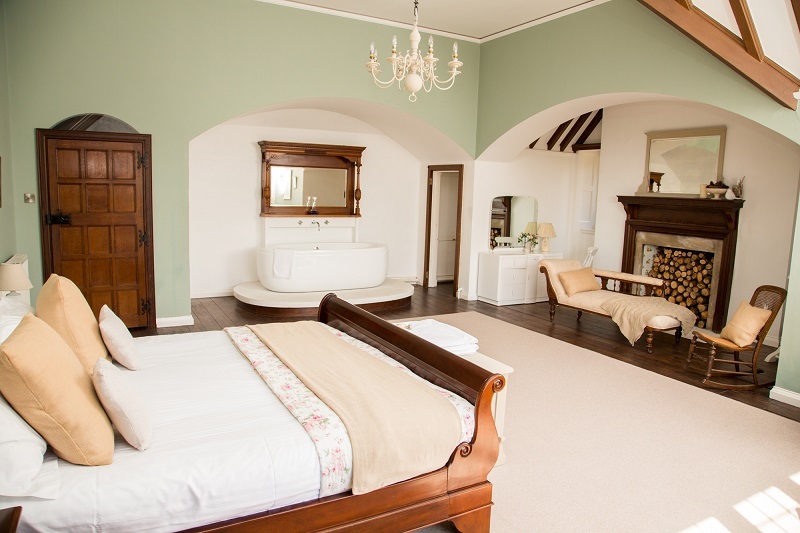 Bedroom 1: Super-king bed, an ensuite lavatory and bath in the room. Bedroom 2: Super-king bed, a single bed, and a shared grand bathroom. Bedroom 3: Twin beds and a shared grand bathroom. Self–Catering: A kitchen with everything you might need. Dining seating for 10 and lounge seating for 8. A double oven and hob, fridge, freezer, microwave, dishwasher, granite worktops. Linen and towels included (please bring your own beach towels). Shared terrace, garden, BBQ, surf/bike store, tennis court and games room onsite. Sorry, we don’t allow pets in Affinity but you can have up to two dogs when booking Amity or Grace.